On a sunny day what more could you want than chocolates from the fridge to soothe and chill the palate. Yes I decided to break into a fantastic box of goodies that make up the Hotel Chocolat gift, The Summer Collection. 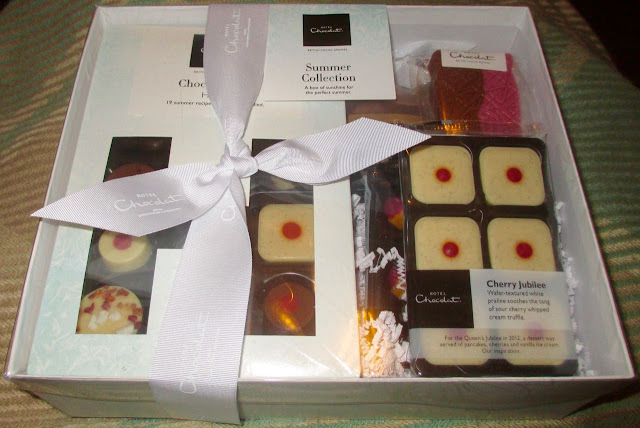 There are various goodies in the box, and such a fabulous choice. Many of the summer items are fruit flavoured which works wonderfully for me. 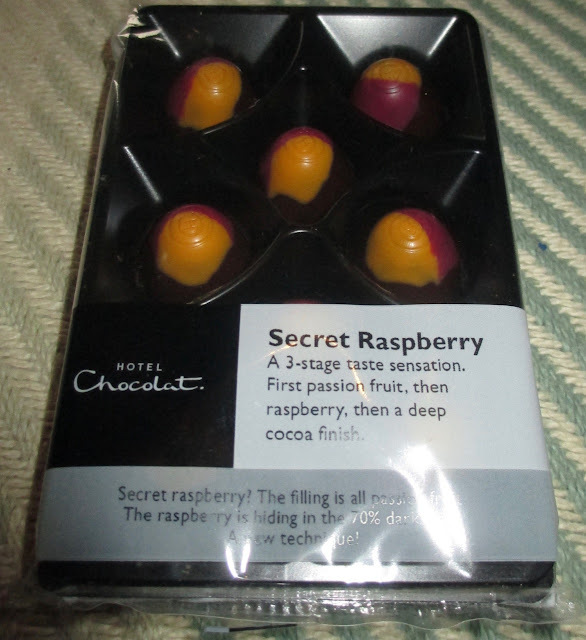 First up I decided to try the Secret Raspberry Selector chocolates. The reason they are called “secret” is because of the passion fruit that is mixed in, that gives them a bit more of a complex flavour. The chocolates are neatly decorated with a pink and yellow topping, and the filling is a bright and summery yellow. 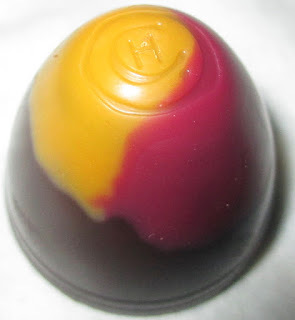 The centre is a thick silky ganache. The chocolate these are made with is a lovely thick rich dark chocolate. 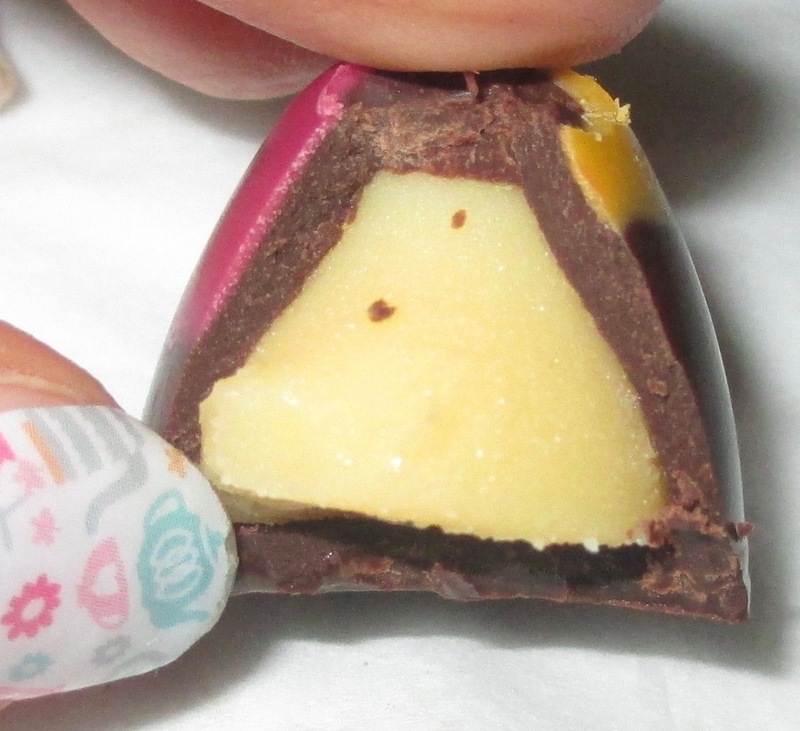 The cocoa content is a high 70% and the flavour dark and smooth.